Since 1971, when quality matters, HULL is the only choice for Anesthesia Equipment Service in Southern California. Hull Anesthesia has been providing expert anesthesia equipment service for over 40 years. We have the most competitive prices for preventative maintenance in the industry. Hull Anesthesia carries a $2 million liability insurance policy. All labor is warranted for 30 days from date of service. 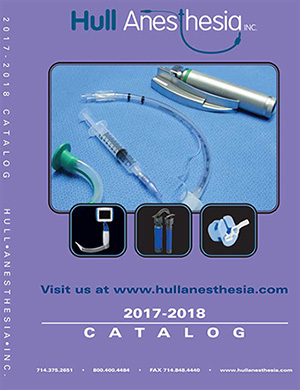 Hull Anesthesia has the largest supply of anesthesia equipment parts on the West Coast, including older models that are no longer supported by the manufacturer. We guarantee that a member of our staff will respond to your call within 30 minutes and that all equipment will be repaired within 24 hours. We offer a 5% discount on any item in our catalog. If you are are a contracted service customer you can benefit from this. A full range of service contract schedules and pricing. All services performed by factory trained and certified service technicians. 24hour, seven days per week on-call service response. Hull Anesthesia technicians are manufacturer certified by Drager Medical, Datex Ohmeda and Penlon America. Click here to visit our online store or you can download our catalog from the homepage. Call us with any questions you may have or fill out the form below.